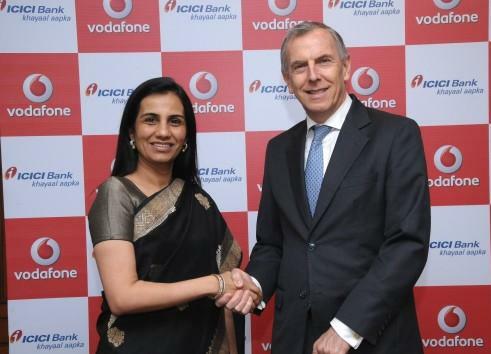 Vodafone India, one of India’s leading telecommunications service providers and ICICI Bank today starts its ‘M-Pesa’ – Mobile Money Transfer and Payment service in eastern region of India. Vodafone Me-Pesa service was announced on November 8, 2012 as we earlier shared on TelecomTalk. M-Pesa’, which is being launched initially in the eastern parts of the country, effectively leverages the combined strengths of Vodafone’s global expertise in the domain of mobile payments and significant distribution reach in India plus the security of financial transactions provided by ICICI Bank. It is initially being offered in Kolkata, West Bengal, Bihar and Jharkhand through over 8300 specially trained authorized agents and will soon be rolled out across the country in a phased manner. it service is very nice. Seems like Vodafone is not interested in expanding 3G coverage and instead, they are much investing in add on services which I don’t think many people would use. btw, Vodafone has very good 2G coverage but the reverse in 3G.